The region of la Jara presents us with another beautiful town next to the Montes de Toledo, Robledo del Mazo. At 114 km from the capital, we could say that Robledo was formed by four annexed neighborhoods, which are the hamlets of Robledillo, Las Hunfrías, Navaltoril and Piedraescrita. All of them welcome visitors with their cobblestone streets, two-story whitewashed houses, fountains and wells that demonstrate the abundance of water in the area, and small plazas. 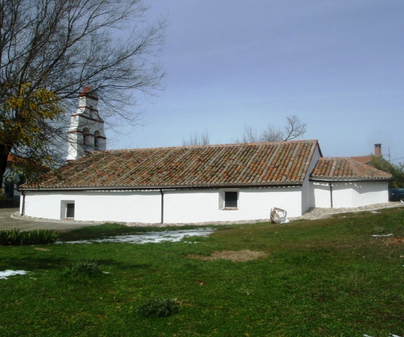 In the hamlet of Piedraescrita the church dedicated to Santa María is preserved, declared an Asset of Cultural Interest in the category of monument. 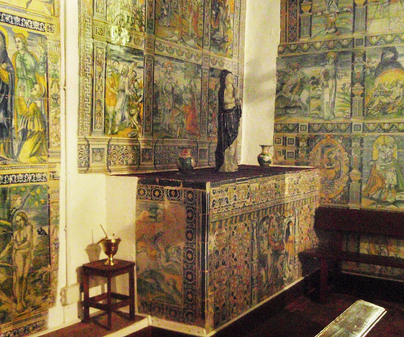 It is worth entering to see the apse in the shape of a horseshoe and the ceramics from Talavera, added in the Renaissance to decorate it and which depict scenes from the New Testament. 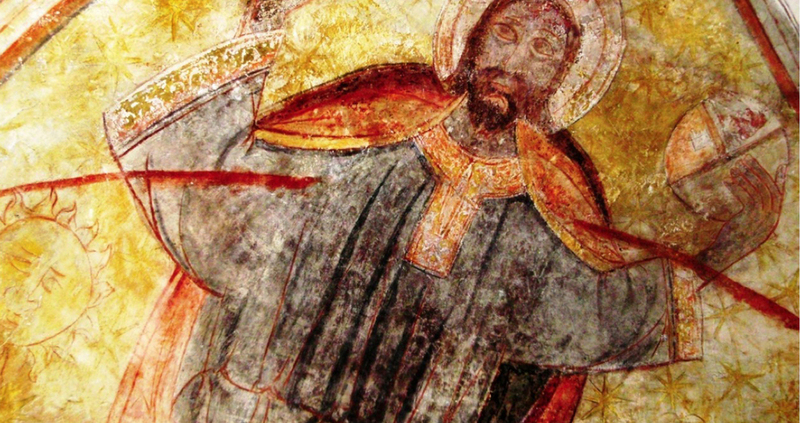 In the apse there are also preserved remains of a Christ Pantocrator fresco painting from the Romanesque era, in addition to a baptismal font and Crucified Christ from the 17th century. Don’t forget that in Robledo del Mazo you can find an exceptional natural enclave, the Gévalo Valley, a depression between the Westernmost mountains of the Montes de Toledo with a slate bottom and through which passes the river that gives it its name. There are various green routes to take if you are a fan of hiking in the high mountains.